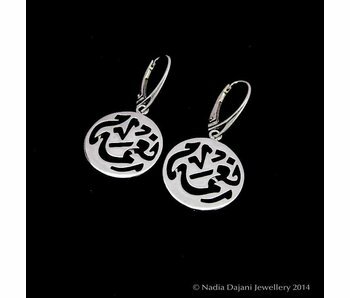 Round silver hoop earrings with a small silver clover pendant, inspired by arabesque motifs in Andalucian Spain. 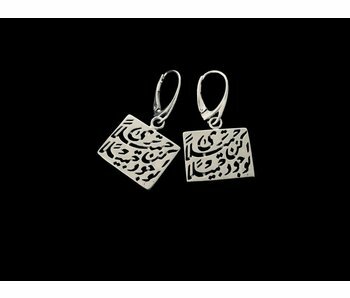 Silver earrings with French hooks, and with the words 'Good Health' and 'Friendship' inscribed in Arabic calligraphy. 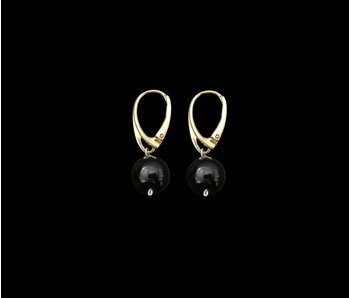 Earrings with French hook and a gemstone drop. 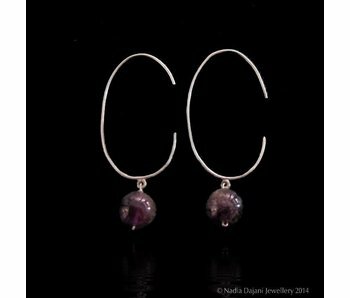 Let us know which gemstone you prefer! 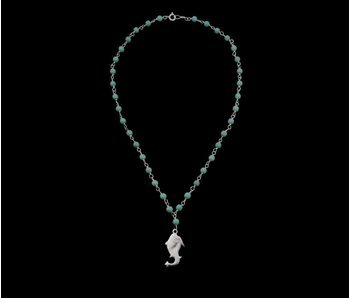 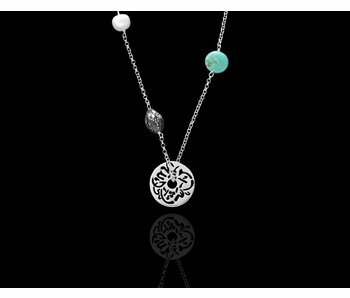 Gemstones linked with silver wire necklace with a silver Jerash fish pendant. 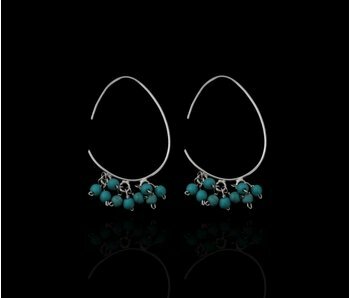 Oval hoop earrings with turquoise gemstones. 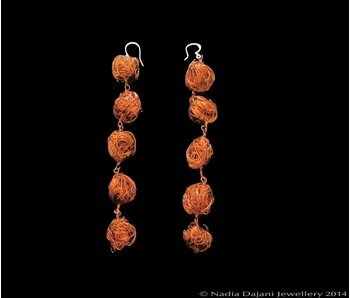 Very intricate work goes into making this swirl: a hair line copper wire is wound around a thicker one, which in turn is wound around to make a swirl. 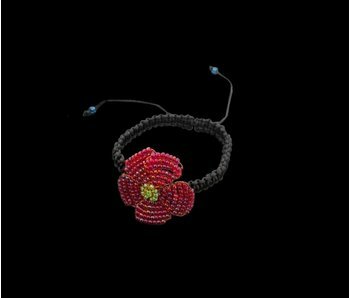 This is then put as the central motif on a hand woven cord bracelet. 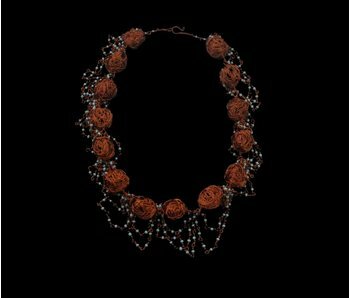 This flower necklace, named after the Narjis flower, is one of the favourites of the artisans at our workshop. 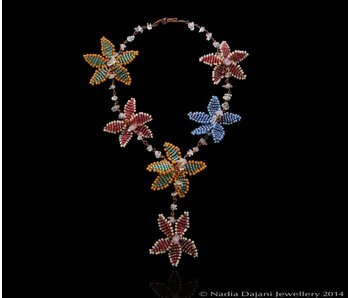 The intricacy in the beadwork is reminiscent of traditional embroidery, and so are the colour schemes chosen. 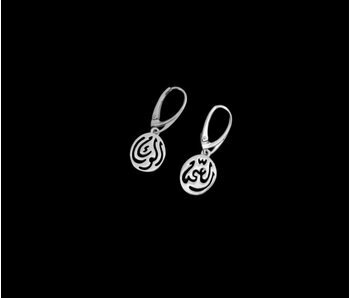 Round silver earrings with the word Good Health inscribed in Arabic calligraphy. 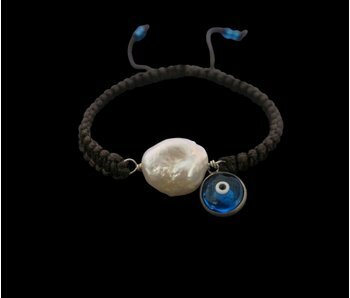 Cord bracelet with a central button freshwater pearl and a symbolic eye for protection. 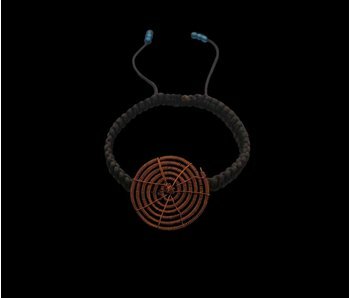 Copper bead necklace with bands of turquoise beads, linked with copper wire. 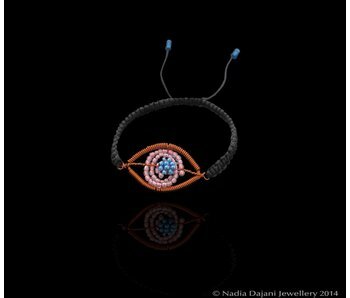 Crochet copper eye bracelet on cord. 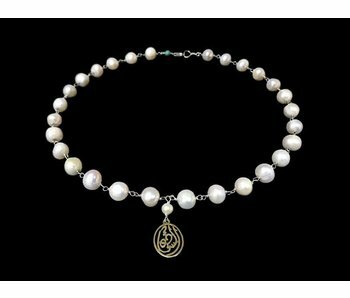 Chain necklace with gemstone dangles and a word in arabic calligraphy from our Salam collection. 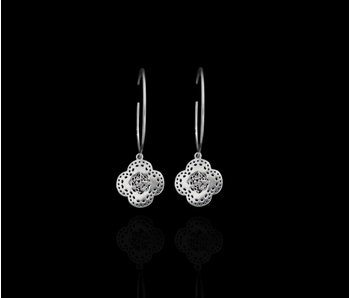 Two tone earrings with a round intricately worked motif with a geometric and floral pattern within. 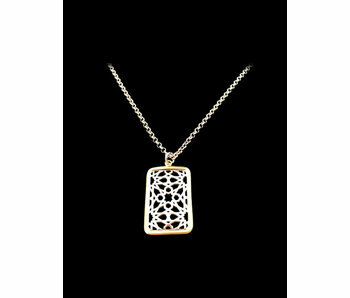 Silver chain necklace with our Granada pendant in silver with a gold plated border. 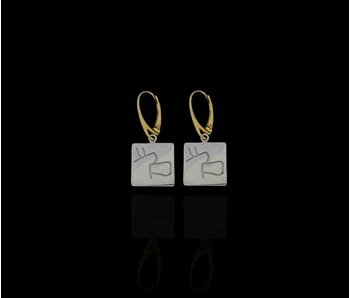 Long oval hook earrings in silver with our Alhambra motif in silver gold plated. 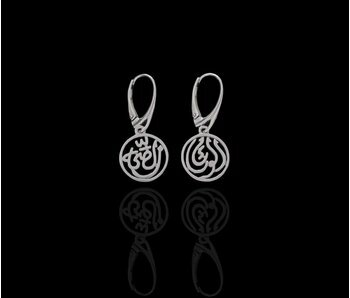 Round silver earrings with the word 'wellbeing' inscribed in Arabic calligraphy, and a silver French clasp.